SOON: Virtuemart 3.x + Joomla 3.x support is coming soon! Check our website frequently or like our Facebook Fun page to be notified..
LICENSE NOTICE: If you are a developer and planing to use this template in multiple websites (domains) you designed, you should purchase this template with +Unlimited Domains license to avoid domain restriction. We keep updating/upgrading the template once a new version of VM comes out, developers will also be able to get future updates/upgrades for free. This option can't be added later. Read template licensing for more information. Shine bright like a diamond in the dark. feature to one step forward. Cross-Browser Support. NEW! Now Supports IOS, Android and Tablets as well! Excellent Support. We never leave you alone! Stuck somewhere while doing customizations? Or you don't know what to do next? No Problem!! We are here to help you! Just check our Forum and see how fast and efficient we are in terms of "helping". Ajax-Powered Dropdown Shopping Cart Module lets you to add products to cart without refreshing the page and show them inside a nice drop down box. 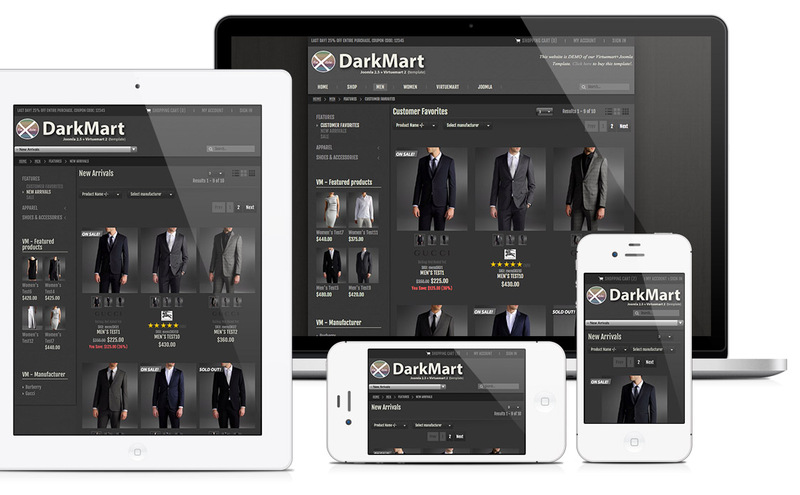 DarkMart will transform your regular/plain search module into an awesome Apple-Inspired Expanding search Module. No further installation required. Apply DarkMart; and you all set. Visitors are able to switch the browse layout easily by clicking the "switch view" button! 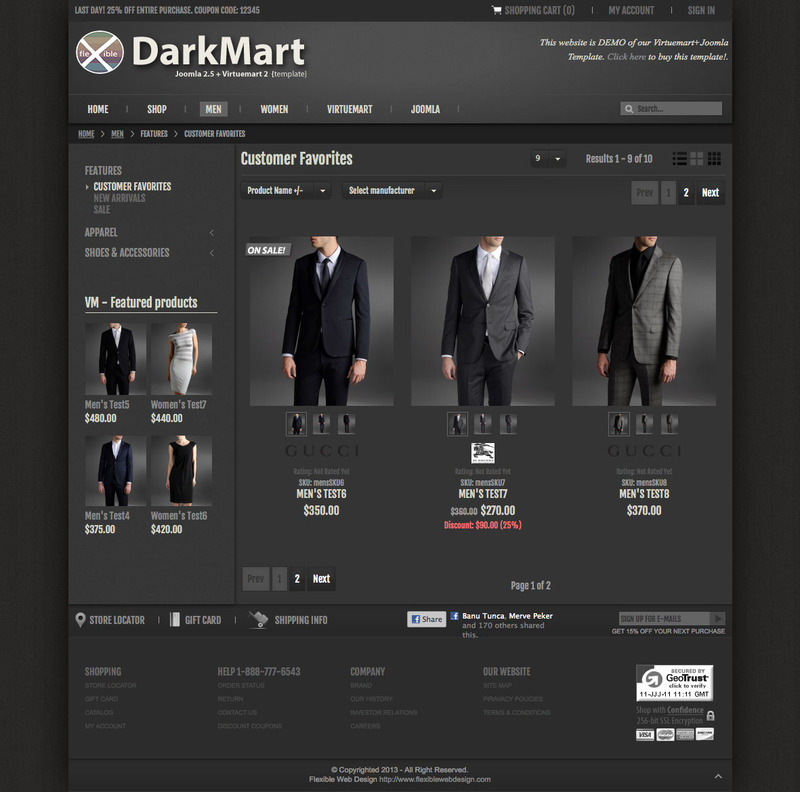 DarkMart comes with a designed and built entirely new category browse page and it has three different view options: ListView, GridView, MultiGridView. Screenshots below are taken from same category browse page layout but from different View options. The blue module positions allow to choose a module layout which defines the module alignment and proportions: equal, double or stack. 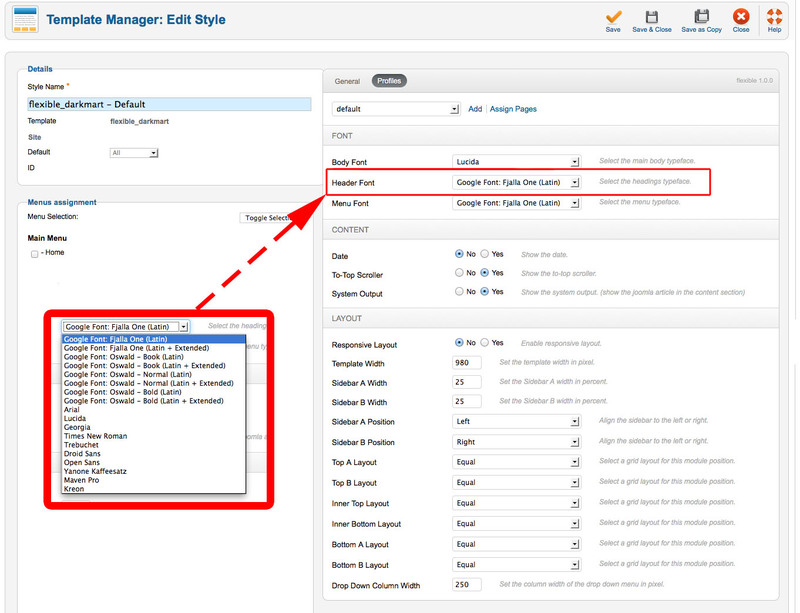 You can easily add your own module layouts. 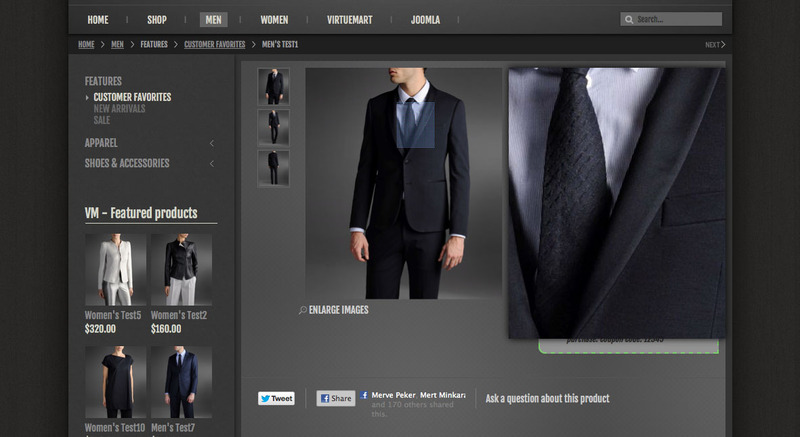 Your visitors will be able to see the additional pictures of any product in the category browse page. It is a very useful feature if you have clothing store! We have improved the stylization of Custom Fields with CSS touches. They look more organized now. An instruction Manual comes with the Template installation ZIP file. (TUTORIAL.PDF) Please read it before doing anything. It shows you to step-by-step (by screenshots) to apply the template to you website. 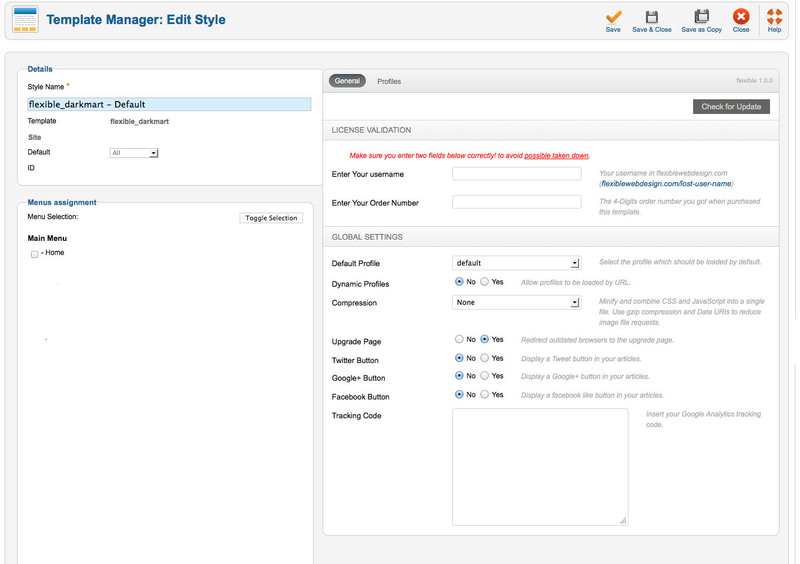 The special "Flexible VM2 Template" joomla plugin that comes with DarkMArt let you change many parameter and customize the virtuemart related pages easily! 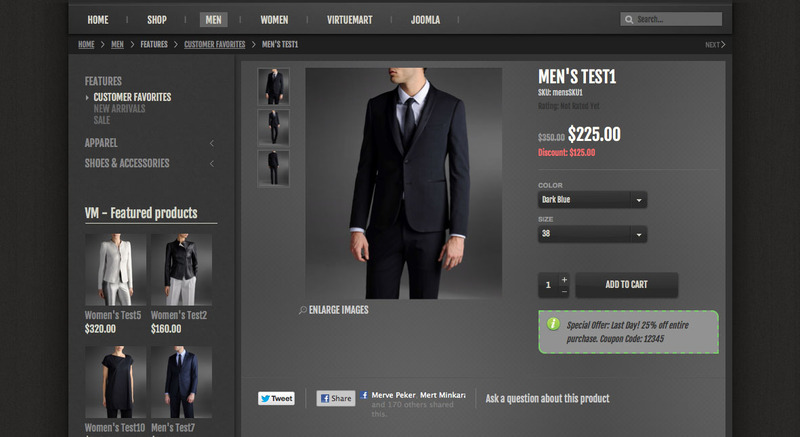 Virtuemart Single Page Checkout extension (AJAX-powered) comes built-in with DarkMart. 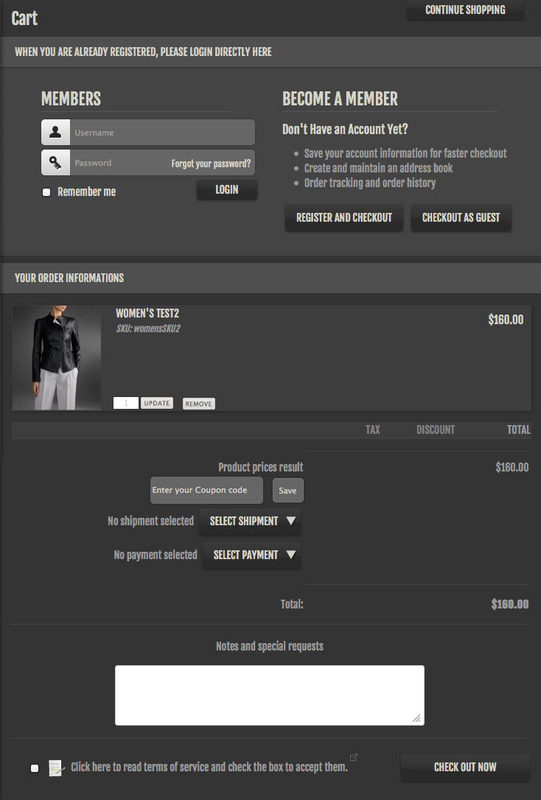 Buyers never leave the checkout page during checkout. See the DEMO for better understanding. We have used CSS3 to generate buttons. It means, the texts are plain text, so once the website's language is changed, those buttons will be translated automatically. Our joomla virtuemart template is completely international. All you need to do is translating your Virtuemart to your native language. Is any product ON SALE, FEATURED, SOLD OUT or NEW? From now on; those special products will be catchy in the category browse page. Our template puts a specific labels on the left side of thumbnails in the category browse page to make them more noticeable. Most Recent version of DarkMart is v2.2 as of today. - Some reported bugs are fixed. - The responsiveness layout issues (for Android phones) have been fixed. Layout now looks perfect in all types of phones. - The script issue of adding product that doesn't have a product picture has been resolved. Also now the NO-PICTURE-AVAILABLE picture shows off in the drop down shopping cart. - The pagination buttons stylization problem in the blog-category and article pages has been solved. - Facebook Like button in the product details is to Like that individual product only. Make sure to backup your old files (i.e your CSS files you modified in /templates/flexible_darkmart/css/ folder) because this update will refresh everything in /templates/flexible_darkmart/ back to stock. - Fleible - 3D Slideshow has been revised and rebuilt almost entirely. More transition effects are added and now the slideshow  is now responsive. - The Script error that shows off when a product with no picture is being added to shopping cart has been fixed. - The freezing problem of the fixed menu navigation bar problem has been fixed. - QuickStart method has been replaced with AkeebaBackup method, which is relatively easier and works like a charm without any problem in every servers. - Some various bugs have been fixed. 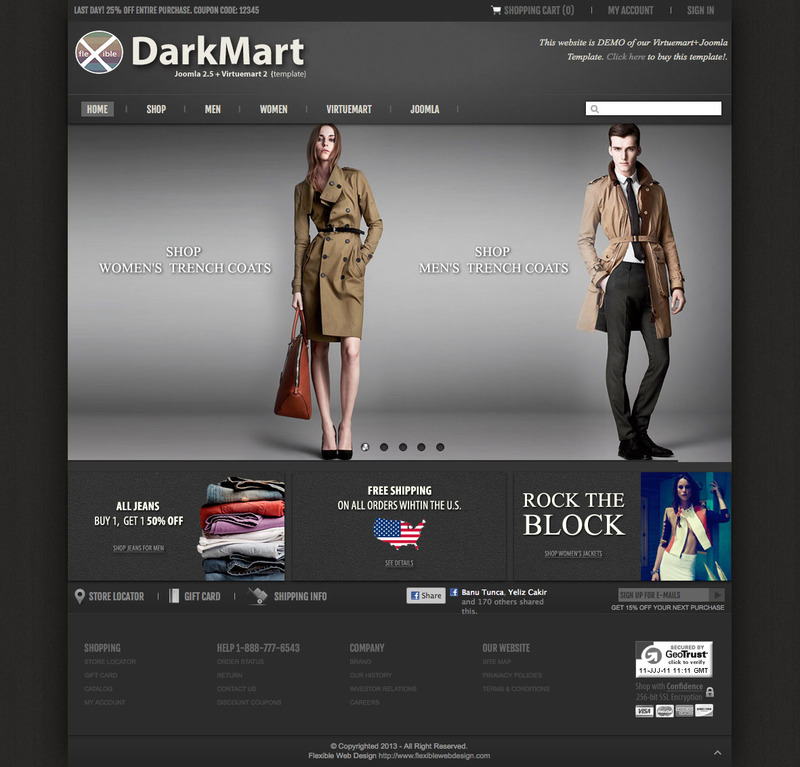 - Test Have been completed and Virtuemart 2 Template - DarkMart (Joomla+Virtuemart Template bundle) has been released.